Click Add Deal/Special to add the information about your special. 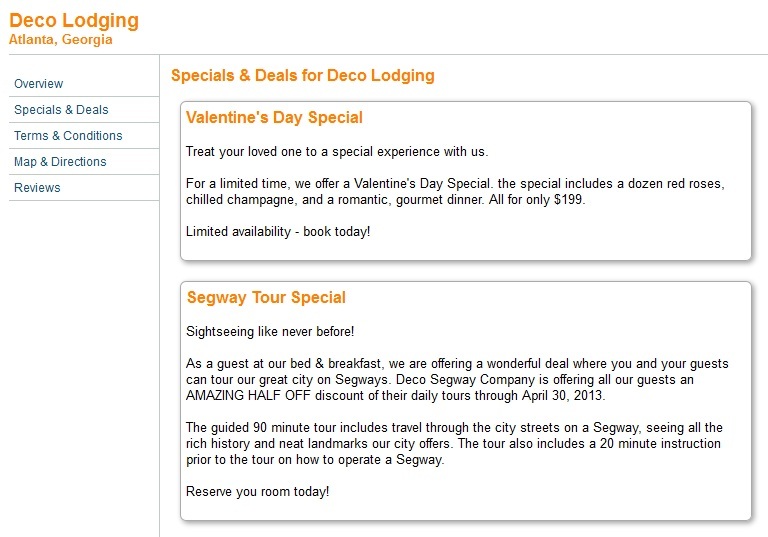 In the example below, we will create a special for a bed & breakfast stay that includes a Segway tour. Show From/Until: Enter the dates you will show the deal on your WebReserv listing. Description: Enter the description of the deal/special including reservation details and any special instructions in order to get the deal. Setting up Deals/Specials is simple. 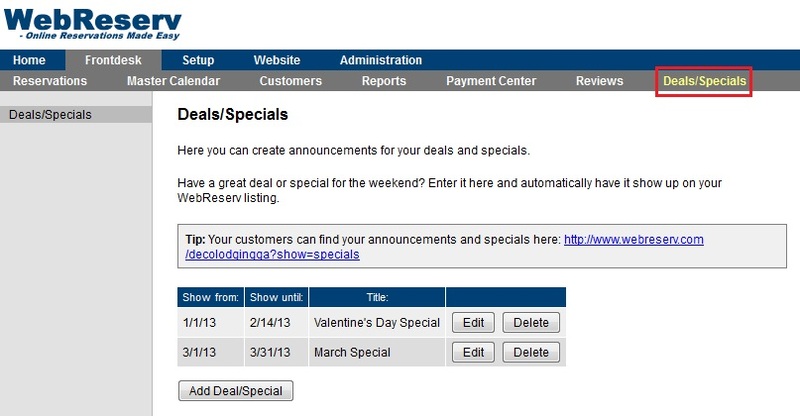 Go to your WebReserv listing to view the Deals/Specials you created. This is what your customers will see when they go to your listing. Great job! You have successfully created the announcement to your customers about your deals/specials.